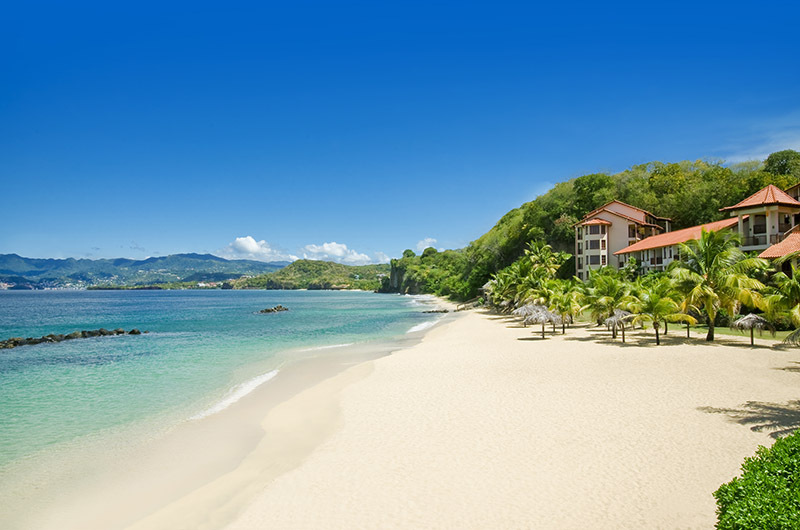 The motto of the island of Grenada is “One people, one nation, one family,” and upon arrival at this tropical gem in the southeastern Caribbean, you immediately feel as though you are a part of it. It is an immensely friendly island—one in which the people are proud of their home and happy to welcome you to it—and when you take in the beauty of it all, you indeed want to belong to this family. 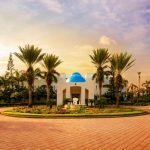 You’ll notice a few things right away: There are no towering buildings standing in the way of the panoramic island views—nothing, in fact, taller than the highest palm tree—and the scent of flowers perfumes the warm air and mixes with that of the sea. The sea itself is a luscious blue-green, hugging the long stretch of beaches, all of which are public, because, according to Grenada law, everyone has a right to enjoy the country’s natural bounties. 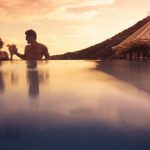 In short, Grenada just might be the best-kept secret in Caribbean travel; now, with the recent introduction of nonstop flights from JFK aboard JetBlue, that secret is about to be told. Luckily, there’s enough sea, sand, and swaying palm trees for everyone. Natural diversity is a major theme on this volcanic island; from sandy beaches along the shores to untouched jungles and mountains, brisk rivers, dramatic waterfalls, and ancient craters, this small island has a little bit of everything beautiful. In St. George’s, Grenada’s capital known as the “city on a hill,” you can go from sea level to 800 feet above it in five minutes. And although temperatures are warm year-round, the natural landscape and trade winds keep it from ever getting uncomfortable. 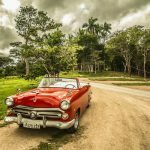 For history buffs, Grenada is fascinating—from its roots as a French-then-British-and-back-again colony in the 1700s to its fight for independence in the 1960s and 70s to its revolution and subsequent U.S. invasion in the early 1980s, much has occurred on this relatively small stretch of land. Grenada is now, and has always been, “the island of spice.” It was the first island in the western hemisphere to export its spices, and is currently the leading producer of cinnamon, nutmeg, cloves, allspice, and other culinary favorites. This is seen everywhere, from the fragrant dishes to the nation’s flag, and is a source of both flavor and pride for the Grenadian people. 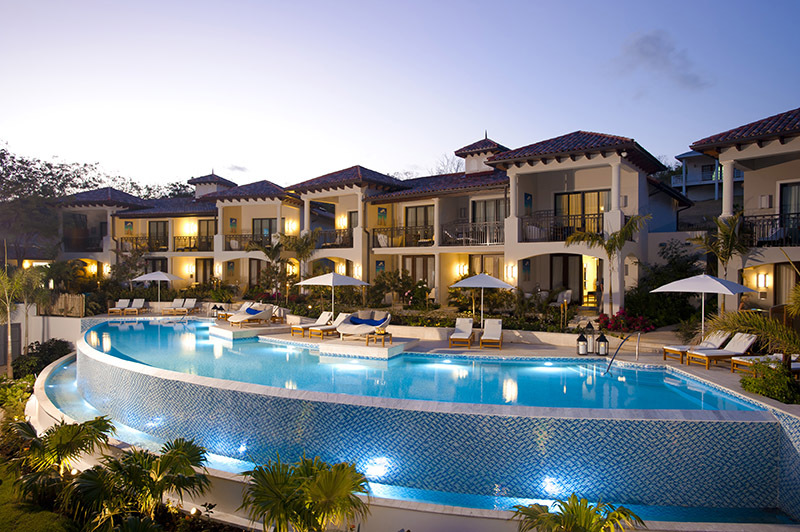 Nowhere on the island is its friendliness, culture, warmth, and beauty more apparent than at Sandals La Source Grenada, perhaps the most luxurious of the Sandals brand resorts and definitely one of the newest. Opened in spring 2014, this all-inclusive (or “luxury included”) resort sits on one of the island’s most pristine white-sand beaches (complete with calm, glistening water, of course) and is only five minutes from the airport (a morning JetBlue flight from JFK will have you on the beach with a drink in hand in the early afternoon). It’s consistently named one of the best adults-only all-inclusives. With three distinct villages comprising a total of 225 rooms and suites, there is something for every taste. The Italian Village is made up of all-butler-service suites with features ranging from patio tranquility soaking tubs and swim-up parlor areas (entering the swimming pool directly from your patio) to Sandals’ one-of-a-kind answer to the highest level of luxury: An infinity-edge Skypool where the water seemingly meets the sky. 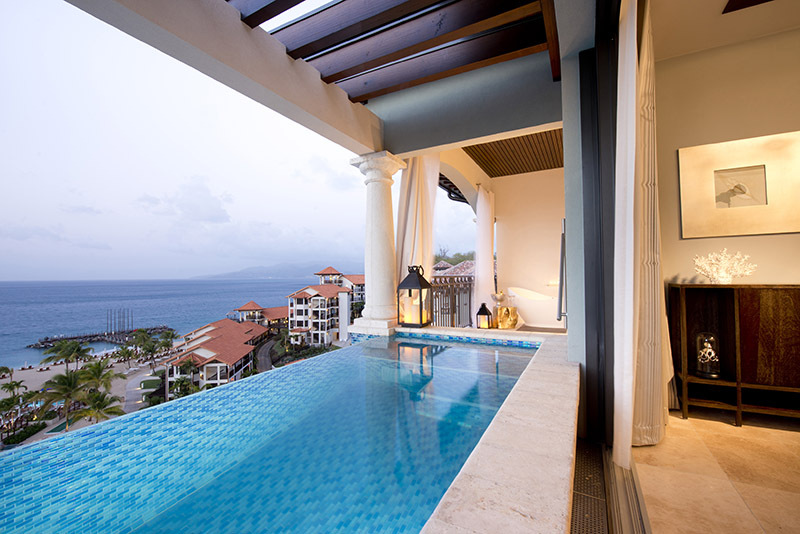 These Skypool Suites are unique to the Italian Village, and to Sandals. 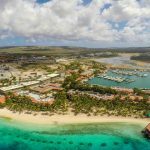 Pink Gin village, named after the resort’s beach, features rooms and suites with beach and ocean views and a host of luxurious amenities (Carrera marble, Italian porcelain floors, patio tranquility soaking tubs, to name a few). In the South Seas village, guests find Tahitian-style suites, villas in the round, and other beautiful architectural features, as well as suites with private pool and lounge areas, outdoor showers, and waterfall features—along with a true feel of peace and serenity. No matter which village you choose, however, the service and details are impeccable; all Club Level rooms (which are available in each of the villages) come with 24/7 access to the Club Sandals Lounge, champagne welcome/check-in, hosted activities (i.e. 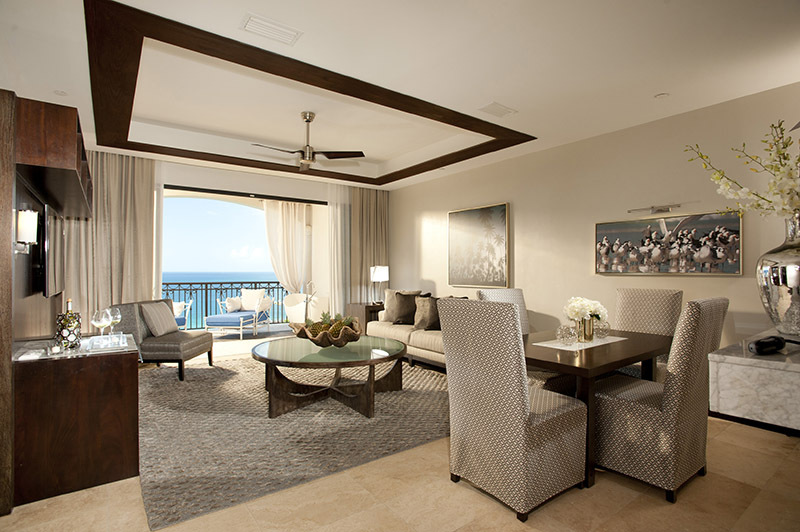 wine tastings, cocktail parties), all-day room service, and in-room/suite fully-stocked bars. Butler Suites, of course, offer the ultimate level of pampering, with personal service provided by professional butlers (trained by the Guild of Professional English Butlers) who attend to your every need, from unpacking your bags to serving you food and drinks, day or night. Whether you’re spending your days in your private swimming-pool-in-the-sky, floating on a raft on the tranquil Caribbean waters, at the swim-up bar, or in a poolside private cabana, one thing is certain: You’ll never go hungry and you’ll never run out of dining options. 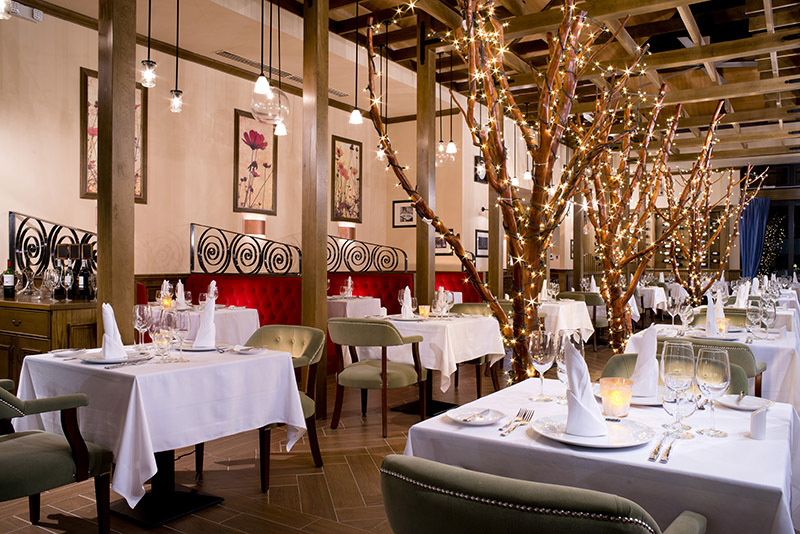 At Sandals La Source Grenada, 10 restaurants are fully included in your stay, with options including Butch’s Chophouse, a world-class New York style steakhouse, sushi at Soy, French cuisine at Le Jardinier, and open-air beachside dining at Neptune’s, to name a few. And of course, at every restaurant and bar, alcohol is included and unlimited, including a selection of Robert Mondavi wines. 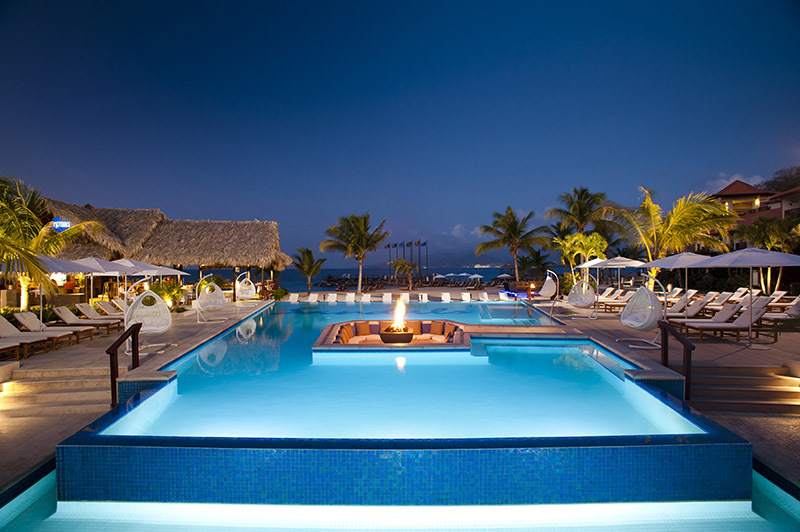 Perhaps most unique, when it comes to all-inclusive offerings, is Sandals’ unlimited SCUBA diving and watersports, as well as all land sports and entertainment. 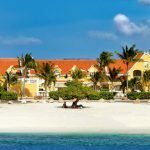 At Sandals’ Aqua Center, you can pick up snorkeling equipment to head out on your own, sign up for SCUBA diving, or head off on a short boat ride for snorkeling at the island’s famous Underwater Sculpture Park, the world’s first underwater sculpture gallery that is a true can’t miss. Beyond that, guests have the option to take advantage of their Caribbean-inspired Red Lane Spa and a variety of local tours that include an exhilarating tubing adventure along the Balthazar River (which concludes with the world’s best rum punch), full- and half-day sightseeing tours, fishing, and champagne cruises. 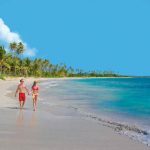 These island tours are highly recommended, affording the opportunity to visit an historic working rum distillery (River Antoine Rum Distillery), fascinating Fort Frederick (with incredible vista views), and the breathtaking Belmont Estate, where you can learn the traditional Grenadian chocolate making process (with tastings, of course! ), among many other island highlights. 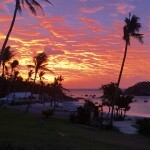 After all, Grenada is an island meant to be explored and enjoyed, and Sandals encourages this. Back at the resort, your exploration can be as limited or extensive as you want it to be. You can choose to spend your time with butler-delivered meals and drinks, looking out onto the ocean from the privacy of your private pool, or you can swim in the pools, SCUBA in the ocean, hop from meal to meal, and end your night dancing to live music under the stars. Your vacation is anything you want it to be—it’s all included, and it’s all as enticing as the spices that give Grenada its nickname. One thing is certain: You’ll be very happy you were let in on the Grenada secret. 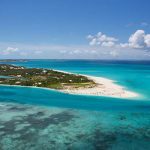 JetBlue flies nonstop from JFK to Grenada’s Maurice Bishop International Airport twice weekly, on Thursdays and Sundays. 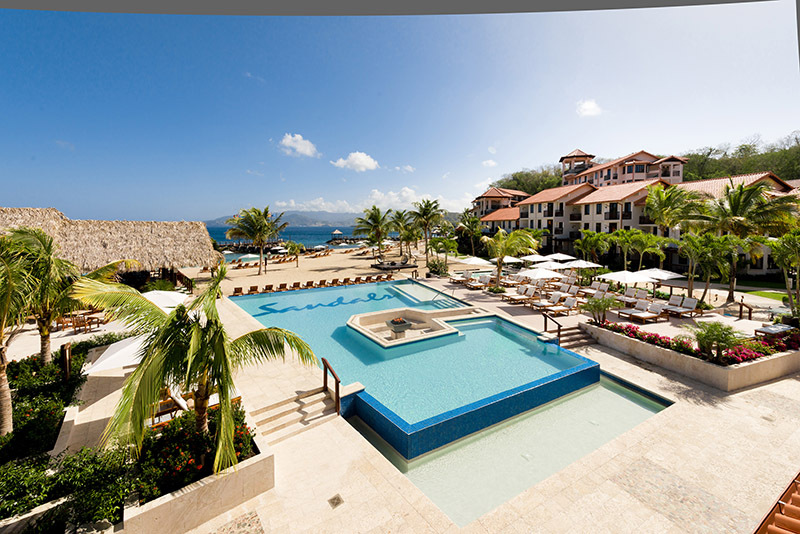 Sandals La Source Grenada is a five-minute drive from the airport; transfers to and from the resort are included.